The West Zone of Bangladesh Railway has been implementing 16 development projects at a total cost of around Tk 10,924 crore aiming at bringing dynamism into the railway transportation along with boosting quality of services. Mujibur Rahman, General Manager of the zone, said works of eight of those were completed after spending around Taka 3,186.5 crore during last nine years since 2009 and the rest eight are progressing fast with an estimated cost of around Taka 7,737.54 crore. He said 120 broad gauge passenger coaches, six BG break vans and one BG and one MG cranes were procured at a cost of around Taka 1,288.66 crore while passenger coaches and wagons were repaired and rehabilitated in Syedpur Railway Workshop by spending Taka 223.84 crore. Construction works of a 65-kilomter new railway line from Khulna to Mongla are moving ahead with an estimated cost of Taka 3,800 crore. Remodeling works of Khulna station and rehabilitation of 326 railway gates are progressing at a cost of Taka 142 crore, reports BSS. Engineer Rahman said construction works of two 122-kilometer new railway lines one from Kasiani to Gopalgonj Gobra and other from Ishwardi to Dhalarchar via Pabna is touching to end at a cost of Taka 3,497 crore. Renovation works of railway tracks on different sections from Parbatipur to Birol via Panchagarh and Kanchan, from Lalmonirhat to Burimari, from Syedpur to Chilahati and from Rajshahi to Chapainawabgonj via Rohanpur and Amnura were completed at a cost of around Taka 1,673 crore. Implementation works of signaling system rehabilitation in 26 stations and signaling works on Darshana-Ishwardi-Sirajgonj Bazar are on final stage. The zone, covering Rajshahi, Rangpur and Khulna divisions, has been operating 133 trains including 40 intercity ones on different routes, including the capital Dhaka at present. Forty-seven locals or shuttle and forty-six commuter or mail trains are also being operated on various routes which are very popular among the passengers. 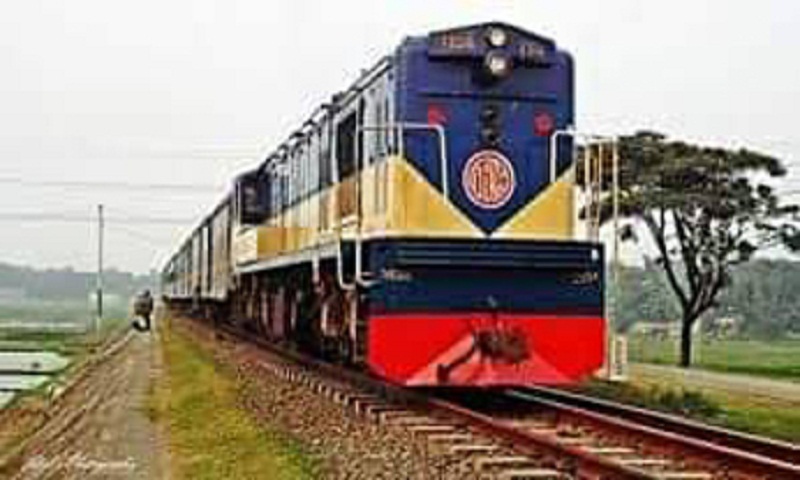 Mujibur Rahman stated that the number of passengers on various routes, where the intercity trains ply, especially those connecting the capital Dhaka has increased significantly in the last couple of years. The zone transports around three crore passengers and 27.22 tons of goods every year. It commits to provide safe, reliable, cost-effective and time efficient rail transport services through modernizing, expanding and maintaining rail system in a manner which supports government strategies for economic, social and environmental development. For the betterment of the passengers in general, 27 major stations have been brought under the modern computerized seat reservation and ticketing system. Some of those including Rajshahi have launched ticket selling, seat reservation and other requisite privileges through online system. Modernizing signaling, interlocking and telecom systems and up gradation of locomotives, coaches and other rolling stocks are being maintained. He said railway tracks and station infrastructures throughout the zone are gradually being developed and maintained. Necessary measures were taken to procure modern technology related rolling stocks, track materials and signaling systems suitable for Bangladesh Railway. Significant developments are expected to achieve in the railway sector including its revenue earning upon successful implementation of the ongoing projects within near future.